Horsetail Falls (or Horse Tail Falls) is a waterfall along the Columbia River Gorge in the U.S. state of Oregon. 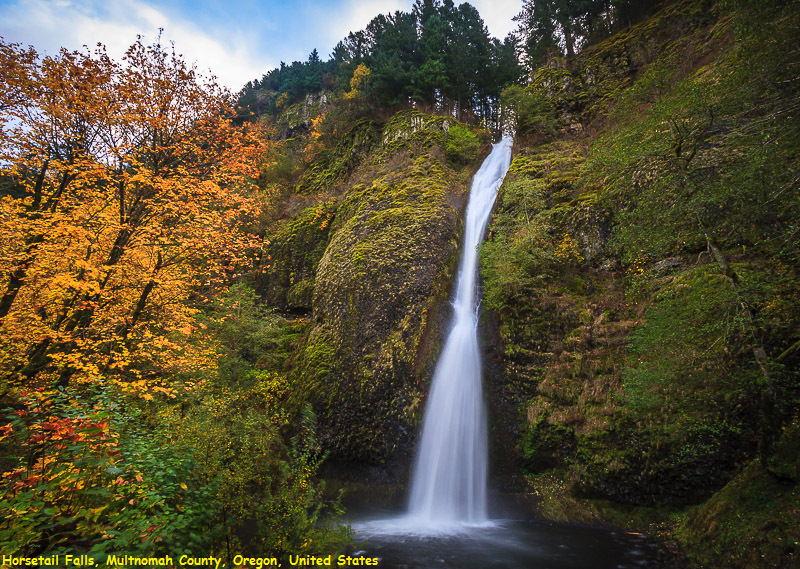 The waterfall is easily accessed, in contrast to its near neighbor Oneonta Falls, as it is right next to the Historic Columbia River Highway. The shape of the falls and the rounded rockface over which it flows cause it to resemble a horse's tail. There are actually two waterfalls along the creek. The upper falls, called Upper Horsetail Falls or Ponytail Falls, can be accessed from a footpath.